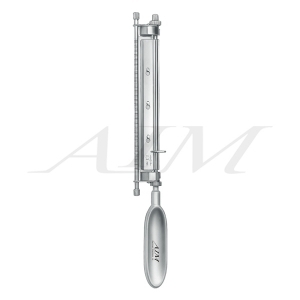 Silvers Miniature Skin Graft Knife/Dermatome is a useful tool in plastic surgery. The knife is ideal to use for transplant of an autologous graft for a small nasal or facial defect. The width and thickness of the graft can be adjusted by a built in screw mechanism. The knife comes with a set of 10 blades to be replaced after each procedure.